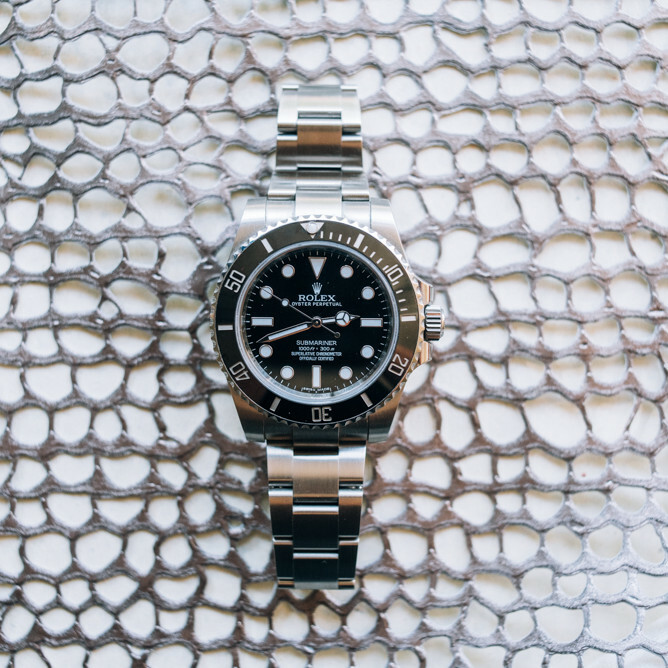 With proper care, quality watches can last for years or even generations. However, if you do not maintain your mechanical watch, it can break in no time at all. In order to keep your mechanical watch in tip-top shape, it’s important to know how to care for it. By following these tips and tricks, you’ll hopefully avoid costly repairs. In this article, we'll review basic cleaning tips, watch winding suggestions, and things to avoid. We'll also tell you when it's time to stop the DIY maintenance and bring your mechanical watch to the professionals. If you have any questions concerning mechanical watch maintenance, let us know in the comments below! Cleaning the exterior of your watch will prevent foreign objects such as dirt, sand, dust, or sweat from getting inside your watch. It’ll also extend the life of your watch and keep it looking great! If your watch is not water-resistant, clean with a dry soft cloth. If your watch is water-resistant, then clean it with a soft damp cloth and dry it with a soft cloth. Metal bracelets can be cleaned with a soft toothbrush. If your mechanical watch needs to be wound, then you should wind it daily and at a consistent time. It is best to wind your watch in the morning before you strap it on. Even if your watch can last a week without being wound, it will perform best if fully wound. Winding your watch daily will also prevent the gear’s lubricants from congealing. When winding your watch, turn the crown clockwise and be sure to not overwind. If you feel slight resistance, stop winding immediately. For an automatic watch, you should wear your watch daily to keep it wound. However, just because it winds automatically does not mean that you should never manually wind it. If you wear it daily, then wind it once every two weeks to keep it accurate. If you do not wear it daily, then wind the watch twice a week. If your watch is not water-resistant, then avoid water. Even if your watch is water-resistant, that does not mean it is water-proof. A water-resistant watch will also become more susceptible to water damage if the gaskets and seals are not properly maintained. You should have your watch tested for water resistance every 12 to 18 months. Even though your watch may be water resistant, you may not want to expose it to soap, chlorine, or salt water. If your watch comes into contact with any of these things, immediately clean it with fresh water and dry with a soft cloth. When you’re underwater, do not pull on the crown. This may cause water to leak into your watch. Also, pay close attention to how much water pressure your watch can handle. Below we've gathered a list of five things to avoid; however, you should be aware that this list is not exhaustive. 1. Strong magnetic fields. Although most modern day watches are anti-magnetic, you still need to be careful. 2. Extreme temperatures. Moving between hot and cold temperatures can cause some parts to expand or contract. Extreme heat can also cause your watch’s lubricant to congeal, causing friction on the gears. 3. Setting the date if the watch’s time is between 9 pm and 3 am. Adjusting the time during this period can damage the movement’s gears and pinions. 4. Sudden shocks or impacts. This can damage the watch’s movement and your watch may no longer function. If this happens, send your watch in for service. 5. Chemicals such as cosmetics, fragrances, detergents, solvents, etc. Schedule maintenance regularly. The professionals will change the oil and clean the inside of your watch. Depending on the watch, you should schedule maintenance every 2 to 5 years. To replace or fix a piece in the movement, we suggest taking your watch to a watchmaker. Do not try to fix it yourself. Although you may think you’ll save yourself money, you may damage the movement and spend more money than you would if you hadn’t touched it at all. A mechanical movement is a delicate and intricate piece of work, so you should avoid opening the watch case. If you open the case, even the oils on your fingers or the dust in the air could damage the movement.